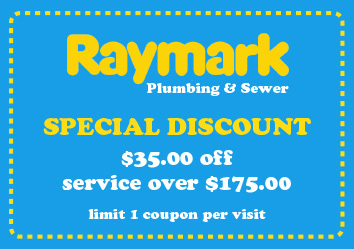 Raymark’s goal is that each one of our customers receives the best service and experience possible. From the time you make your first phone call, to the completion of the job, our professional and respectful employees take care of you and solve your problem. We can correct any plumbing or sewer issue and help you keep your home operating efficiently. Raymark is well known in the industry for its expertise and inventive solutions to challenging problems. We are licensed, certified plumbers, registered as Side Sewer Contractors, and Gas Line certified. 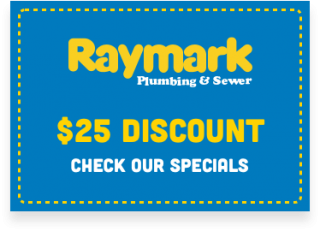 Schedule your Raymark appointment today by calling 206-430-1954. Since 1977, Raymark has been implementing tried-and-true techniques combined with the most technologically advanced methods available. We practice continuous learning and skill building. In addition, our senior plumbers pass on their considerable knowledge to the next generation of plumbers, through our apprentice program. 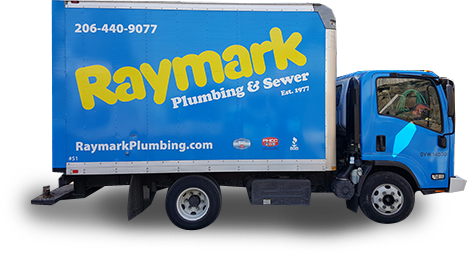 As a result, Raymark technicians know the right way to solve and fix your water problem. If you have a leaky pipe, a clogged sewer or drain, or need a new water line, our knowledgeable and experienced technicians are here to help.